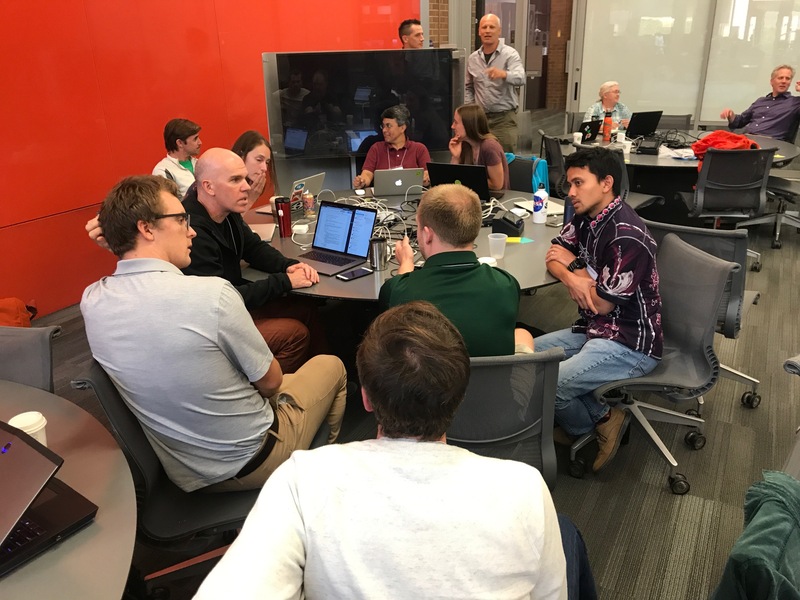 Building from the successful Cabled Array Hackweek in February 2018, the Oceanhackweek last month set out to broaden their scope of data exploration to include all Ocean Observatories Initiative (OOI) assets as well as other large scale ocean observatories, e.g. Argo, Integrated Ocean Observing System (IOOS), etc. 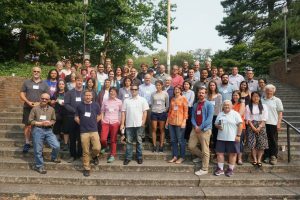 Fifty participants, ocean scientists both early in their career and more established, mechanical engineers, roboticists, and computer scientists, convened at the University of Washington for this 5-day hands-on “learning hackathon”. The workshop aimed at exploring, creating and promoting effective computation and analysis workflows for large and complex oceanographic data. The event was a collaboration between the Ocean Observatories Initiative and the University of Washington with organizers from the UW eScience Institute, Applied Physics Laboratory, and School of Oceanography. 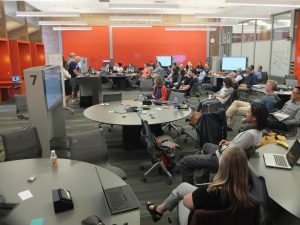 Different from conventional conferences and workshops, Oceanhackweek, as with previous hackweeks in other domains, was constructed based on three core components: tutorials in data science methodologies such as data visualization and cloud computing, peer-learning, and on-site project work in a collaborative environment. 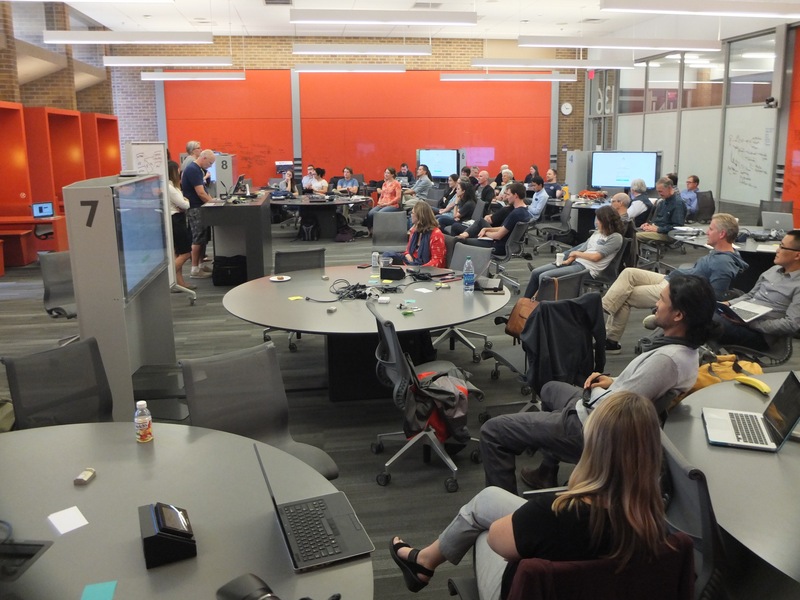 Example projects stemming from this workshop include: using machine learning to distinguish between good and anomalous data, analyzing biogeochemical data from multiple sources in the Southern Ocean, tracking unidentified tagged sharks off the west coast of Florida, correlating water chemistry with tide height for mussel farm management, relating ship traffic to acoustic instrument data, simplifying access to OOI data, and uniting data from the Long Term Ecological Research and IOOS data communities. For more information about the event check out the Oceanhackweek website and these comments by a co-organizer and participants.